Jobs in SEO, PPC, PR, content marketing, web design and web development, all in Nottingham city centre. Impression is a multi-award winning digital marketing agency. With offices in Nottingham and London, we work with clients across the UK and beyond to deliver high-performance, high-return online campaigns. Our team includes highly experienced digital marketers alongside those who are newer to their digital marketing careers. Our annual graduate scheme is ideal for anyone looking for their first role, while we are always on the lookout for people who can bring great experience and fresh ideas. Here, you’ll find our current vacancies across SEO, PPC, content marketing, digital PR, web design and web development. To submit your CV for consideration, use the links below, or if your ideal role isn’t listed, email your CV and covering letter or message to impression@jobs.workablemail.com as we may still be able to help. Please note, we do not use recruitment agencies. Impression is a multi award-winning digital agency based in the heart of Nottingham city centre. Since 2014, we’ve grown from 2 people to over 45. We’d love you to be part of it! We’re pretty proud of how it’s gone so far, not least because we’ve succeeded in creating a great place to work. We work hard, we learn a lot, and we have fun doing it. We’re flexible with things like working hours and holidays and we’re not averse to finishing early and buying a round of drinks at the end of a hard week or tricky project. If you’re interested in any of our digital marketing job vacancies below then please click-through to the vacancy page and fill in the form. If you’d like to submit a speculative CV, you can by emailing impression@jobs.workablemail.com (but if you are applying for an advertised role, please use the form!). If you’d prefer to come in for a chat or a game of ping pong, please email us at hello@impression.co.uk. Our focus is on delivering results for our clients. Whether they’re trying to achieve improved brand awareness, increased leads or more sales, we make sure our strategies are aligned with their end goals. Our aim is to pay for ourselves in the bottom line impact we deliver. Despite being a relatively young agency (we were founded in 2012 but only started trading fully in 2014), we’ve grown quickly and our client portfolio is testament to the results we achieve. For us, it’s important we stand out from our competitors. Tom and Aaron founded the agency to provide clients with something different from the ‘norm’; we work hard to provide a service which genuinely helps our clients to grow. Our focus is always on driving tangible results for our clients. We take the time to really understand our clients’ businesses and profit margins. We set clear KPIs and invest in a range of quality tools to enable us to scientifically track the effect of everything we do, enabling us to innovate and improve. Whilst we consider ourselves a very creative agency, that creativity is driven by data analysis. We strive to understand what works and what doesn’t, in our industry and specifically for our clients and their audiences. We’re building our own tool which will enable us to be even more data driven. We’re extremely proud of the team of experts we have here at Impression. We don’t want to quash your expertise through restrictive templates. That’s why every project we do is unique and bespoke to the client. Yes, we’ll share examples of what we’ve done in the past. But we’ll be guided by your expertise and knowledge of the client. We’re really fun to work with! One of the main things our clients tell us they love about us is that we’re good fun! We have great relationships with our clients and they know that we’re not going to fob them off with jargon filled reports that essentially mean nothing when you dig into them. Instead, we focus on jargon free explanations to communicate the impact of what we do. You could choose to work for any of the digital marketing agencies in the area. You could even move further away from Nottingham to find your ideal position. But why would you, when possibly the greatest ever digital marketing jobs are right here on your doorstep?! You can check out more of our work (and play) over on our Facebook page, where you’ll see photos, blog posts and more to give you a sense of who we are as a team. Getting that first step in your digital career can be challenging. You recognise the value of building up experience but finding somewhere to do that can be difficult. Find out more about our graduate scheme. As a member of the Impression team, you can expect to be valued and recognised as the key driver of our business. Without great people, our agency is nothing and you’ll be part of a team that strives to be the best in all it does. This means you can expect a good balance of professional development opportunities when you choose to build your career with us. 70% of our professional development is on the job, learning from our experience and our data driven approach. 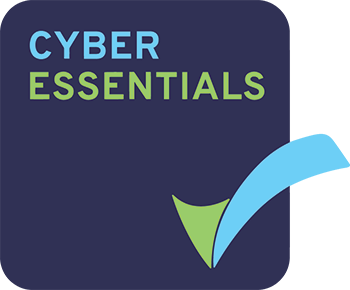 Each one of us, whether you’re just starting your career or an experienced digital professional, has the opportunity to be responsible for elements of or entire digital strategies. We track everything we do to ensure we get clear feedback on the results and can refine and improve accordingly. 20% of our professional development comes from working with others. We’re a friendly bunch and we love to collaborate, which means we learn a lot from each other. We frequently use our large meeting room and open collaboration spaces to work together on our client accounts and brainstorm new ideas. We also have bi-weekly team catch ups to share what we’ve learned in the previous two weeks. 10% of our professional development comes from formal training and qualifications. As a Google Partner agency, we encourage all of our team to become Google accredited. 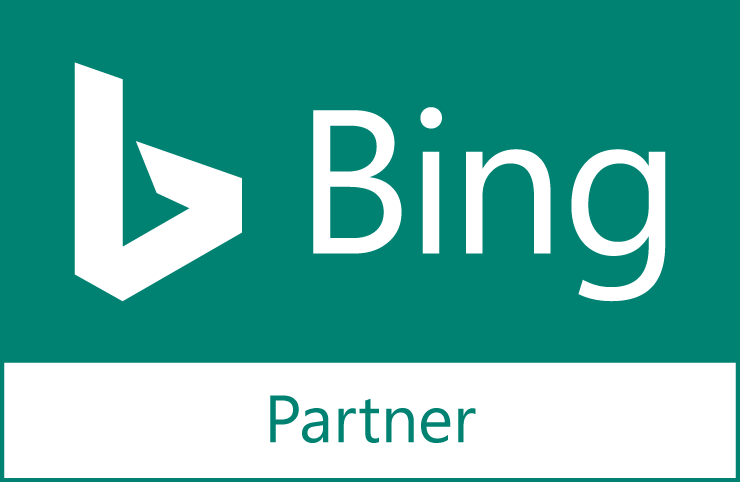 We’re also Bing accredited and invest in other external training such as CIM and PRCA qualifications, as well as putting on our own internal training sessions led by the team and attending various industry conferences throughout the year. You’ll have a clear development plan and a manager who can support you in achieving your targets. It sounds quite formal, which perhaps contradicts our fairly informal working style, but your development is really important so we’ve invested in training and development plans to ensure we can build long-lasting and rewarding careers here. Like most digital agencies, we’re pretty busy. As a team, we have a lot going on and client work is obviously important to us. But unlike most agencies, for whom time is often considered ‘money’, we recognise that it’s important to step away from the desk from time to time. As a member of the Impression team, you’ll benefit from an open plan office with lots of breakout space and fun areas, perfect to help you relax, unwind and collaborate more effectively too. As an example, many of our team like the take advantage of the table tennis we have here in the office. You’ll often hear people chatting about client work and any problems they’re having over a game of ping pong. It’s a great way to build relationships and develop personally too. We’ve also got plenty of options should you wish to get away from your usual desk and use a stand up desk or work from the sofas or other areas. This can be really handy if you want to get your head down with your headphones on for a couple of hours or need a change of scenery to help you refocus. Thanks to the support of a fantastic HR consultant Becky, we also have someone on hand who can discuss any personal issues or concerns you may have, and also help you stay on track with your professional development, should you wish to discuss such matters outside of the business. There’s a lot of support available to ensure everyone who works here is happy and fulfilled in their roles. Are you looking for the next step in your digital marketing career? Apply for any of our open digital marketing job vacancies here. We're a fast growing agency so we also accept speculative CVs. If you think you'd be a good fit for our team, send us your CV now to impression@jobs.workablemail.com.